Half-size classical guitars abound in the market. These nylon strings are the perfect companion for beginners and kids who are looking to start somewhere. 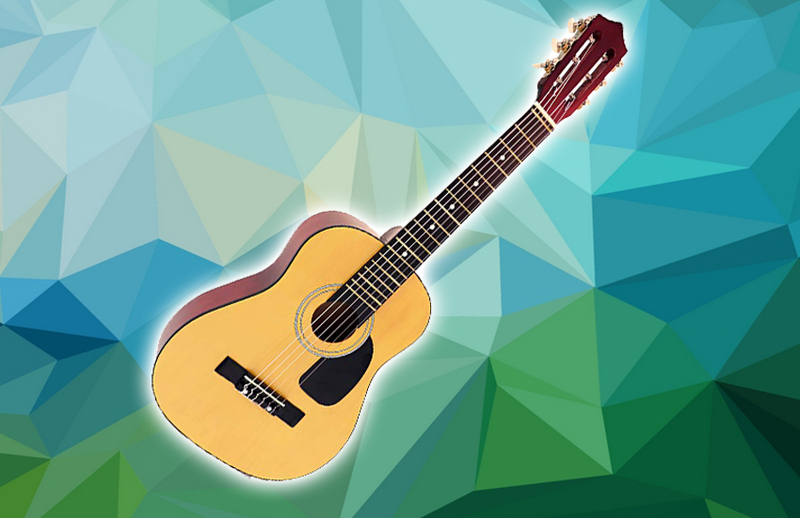 The Hohner HAG250P is among the most popular 1/2 classical guitars for kids out there. But if you are an adult hunting for a novice-friendly instrument, will it be a great choice for you? Find out. The Hohner HAG250P classical guitar is designed to deliver the most convenient playing experience to anyone who is just starting out, regardless of your age. The nylon strings are easy to play with as compared to steel or electric strings. Classical guitars are usually cheaper than other types of guitars. This is where the tradeoffs come to keep the price low. The materials are often the first line of compromise. The top, back, and sides of the guitar are made of laminated agathis, while the neck is made of mahogany. The fretboard is made of generic hardwood. The neck has 18 frets with the 12th joining the body. The Hohner HAG250P comes with a basic hardwood bridge and a plastic nut. It also comes with a set of six open-gear tuners with plastic buttons. The plastic buttons are a little bit off since they largely affect the tuning stability of the guitar. Using the guitar more frequently and in longer periods of time will have you end up tuning the strings more often than you would want to. If you know how to tune a guitar, that would be a minor issue. Otherwise, it will be an awful lot of work to do just by tuning alone. The Hohner HAG250P looks like a generic, mass-produced classical guitar. Despite that, it is sturdy, light, and comfortable to hold. In terms of sound, the Hohner HAG250P is average, which is really not that bad at all considering its price tag. As long as the guitar is in tune, you will get a clear sound, loud enough for practice and home use. The projection and tone are A-OK as well. The Verdict: Should You Buy Hohner HAG250P? Hohner is a purveyor of quality musical instrument. It runs in their DNA no matter what. 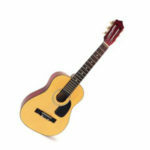 The Hohner HAG250P is not the best classical guitar, although it is popular. The kids will surely enjoy the nylon strings. It is budget-friendly, child-friendly and one of the best beginner-friendly guitars. It looks like a toy, but it is definitely not a toy. However, if you are an adult, it is something that you will find good at the beginning but really bad as you progress. So, I would suggest looking for other options. Musical instruments that are not shaped out of a cookie cutter are expensive. This generic guitar is cheap for a reason. Nevertheless, you still want to find the guitar that suits your needs whether it is budget-friendly or expensive. Overall, the Hohner HAG250P is made perfect with decent sound, decent build, and playability in mind.